We are open when your regular vet is not. We are open every week night from 6pm to 8am, all weekend, and all public holidays. We are fully-staffed at these times, so the medical staff you need to see are here and awake to help you! BVECCS runs out of the Brisbane Veterinary Specialist Centre at 53 Old Northern Road, Albany Creek. We are on the corner of Keong and Old Northern Rds, Albany Creek. It is a 2 story building with a green facade and the letters BVSC across the front. We are opposite the Radius Medical Centre, and next door to Little Gems childcare centre. No, we run on a triage basis. 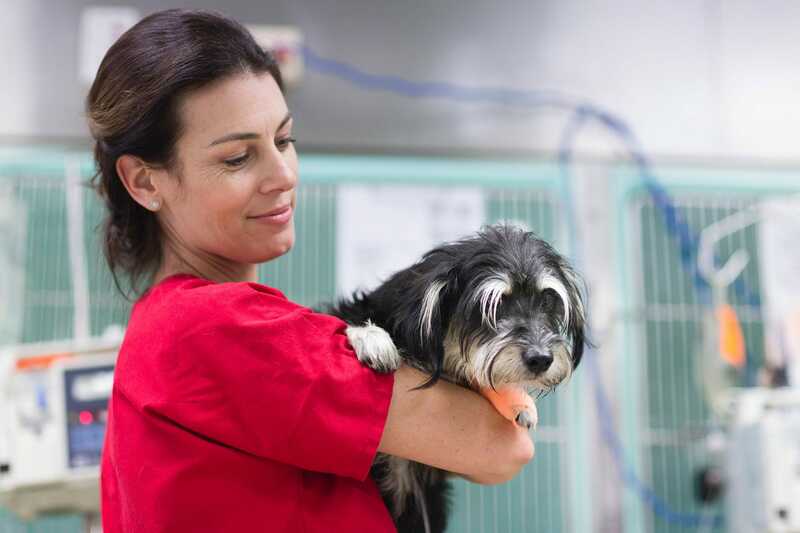 A nurse will meet you at the door and assess how serious your pet’s condition is. Stable patients will be seen in the order they arrive, but an emergency (bleeding, unable to breath, etc) will be seen immediately. We endeavor to see all patients as quickly as possible! We can assist you in applying for VetPay, which is an external credit company specifically designed to cover veterinary treatment. Approval is granted at VetPay’s discretion. A deposit will still be necessary. Alternatively we accept cash, EFTPOS or credit card (with the exception of American Express). Will I be able to visit my pet in hospital? We understand that having your beloved pet in hospital is a very stressful experience, and visiting can take some of that worry away. In most cases we encourage visiting. Phone us to find a time that is convenient for you, and also fits with your pet’s treatments. Will my regular vet know what is happening with my pet? It is important for your usual treating veterinarian to know when something happens after hours. We email all medical records, blood results and x-rays to your regular vet on discharge, so that it can be attached to your pet’s medical file. If you will be transferring your pet from the emergency centre back to your regular vet for ongoing care, we will also discuss their case over the phone to ensure a smooth transition and continuity of care once you arrive.